"Feelings have not been given the credit they deserve as motives, monitors and negotiators of human cultures." To be published in the US on February 6, 2018. 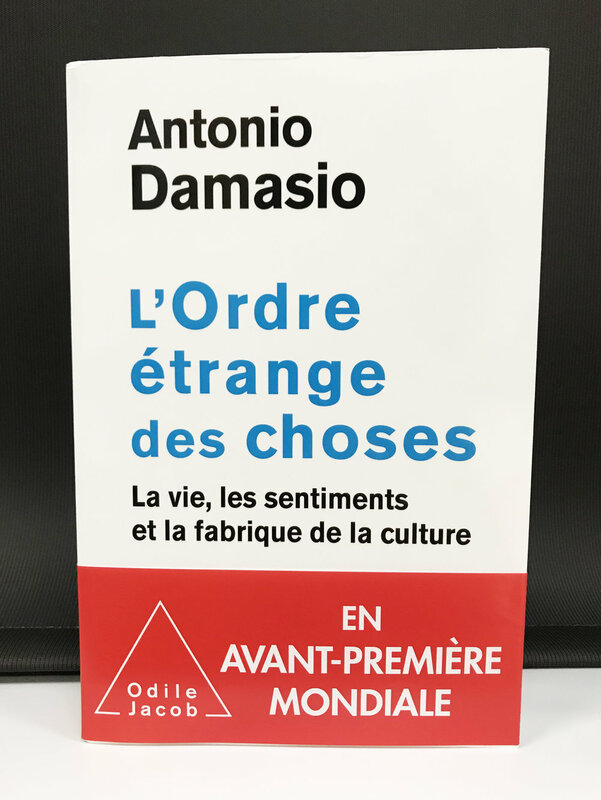 "In The Strange Order of Things, Antonio Damasio presents a new vision of what it means to be human. For too long we have thought of ourselves as rational minds inhabiting insentient mechanical bodies. Breaking with this philosophy, Damasio shows how our minds are rooted in feeling, a creation of our nervous system with an evolutionary history going back to ancient unicellular life that enables us to shape distinctively human cultures. Working out what this implies for the arts, the sciences and the human future, Damasio has given us that rarest of things, a book that can transform how we think-- and feel--about ourselves." "The Strange Order of Things" is a foundational book. It provides the concepts, the language, and the knowledge to explain in an integrated framework the interplay between Nature and Culture at the heart of the human condition. Damasio unveils the codes and protocols that make humans human. After a long period of fragmentation of science, he ushers in a paradigm that reunites scientific knowledge, beyond the diversity of its fields of inquiry, around the study of the networks of the mind in communication with the networks of its biological and social existence. This is the beginning of a new scientific revolution". "In Damasio's thinking, to live consists of projecting yourself into life, shunning vulnerability and death, powered by a foundational force that he names homeostasis, a concept that the Strange Order of Things perfects and amplifies." "Damasio's books are marvels of scientific effervescence, of conceptual invention, and in the end, of modesty, of that sense of the limits of knowledge that only knowledge is capable of imposing." "Damasio analyses the continuities and the difference between natural life and human cultures, considered in the artistic, political, ethical and medical dimension. In this effort the borders of the human do not disappear but are instead shifted, made moveable. And a result, his exploration of life's surprises becomes a stimulating and exhilarating exercise in redefining humanity itself. French translation published in November 2017. "Here is a new, strange and unassailable definition of life."